Check your knowledge about measuring angles by taking this online angles test. Some problems are multiple choice, and other questions are fill in the blanks. This test has ten problems that determine how well you can identify how many degrees are in an angle. An angle is measured in units called degrees. The symbol fordegrees is °. You can use a protractor to measure angles. First, place the center mark on the protractor on the vertex. Then, line up the protractor on on of the angle's sides. Using the scale that starts with zero, look at the numbers where the other side of the angle intersects the scale of protractor. 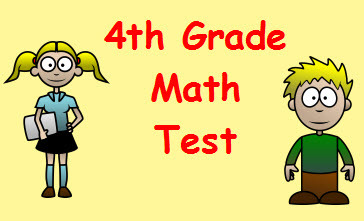 Return from this Measuring Angles Math Test to the Elementary Math Tests, 4th Grade Math Tests webpage, or to Math Tests.